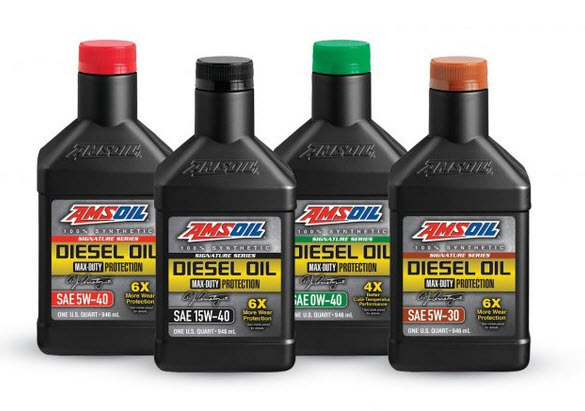 Amsoil Signature Series Max-Duty Synthetic Diesel Oil 5w-30, 0w-40, 5w-40 and SAE 15w-40 API CK-4 and FA-4 (FA-4 not yet available) represent the top tier of AMSOIL protection and performance for diesel engines. AMSOIL Signature Series Max-Duty Synthetic Diesel Oil replaces AMSOIL Premium Synthetic Diesel Oil. AMSOIL Signature Series Max-Duty Synthetic 5w-30 Diesel Oil delivers 6X better wear protection than required by the Detroit Diesel DD13 Scuffing Test for Specification DFS 93K222. Advanced synthetic technology provides excellent viscosity control and outstanding extreme-temperature performance, while minimizing oil consumption. The result: protection that’s boosted to the max. 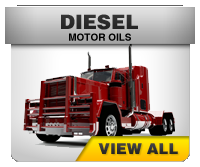 Protect your investment in diesel power and confidently extend drain intervals with our top-grade synthetic diesel oil. AMSOIL Signature Series Max-Duty Synthetic 0w-40 Diesel Oil delivers 4X better cold-temperature performance when compared to SAE 15W-40 oil in ASTM D5293 cold cranking viscosity test. Advanced synthetic technology provides excellent viscosity control and outstanding extreme-temperature performance, while minimizing oil consumption. The result: protection that’s boosted to the max. Protect your investment in diesel power and confidently extend drain intervals with our top-grade synthetic diesel oil. AMSOIL Signature Series Max-Duty Synthetic 5w-40 Diesel Oil delivers 6X better wear protection than required by the Detroit Diesel DD13 Scuffing Test for Specification DFS 93K222. Advanced synthetic technology provides excellent viscosity control and outstanding extreme-temperature performance, while minimizing oil consumption. The result: protection that’s boosted to the max. Protect your investment in diesel power and confidently extend drain intervals with our top-grade synthetic diesel oil. AMSOIL Signature Series Max-Duty Synthetic 15w-40 Diesel Oil delivers 6X better wear protection than required by the Detroit Diesel DD13 Scuffing Test for Specification DFS 93K222. Advanced synthetic technology provides excellent viscosity control and outstanding extreme-temperature performance, while minimizing oil consumption. The result: protection that’s boosted to the max. Protect your investment in diesel power and confidently extend drain intervals with our top-grade synthetic diesel oil.